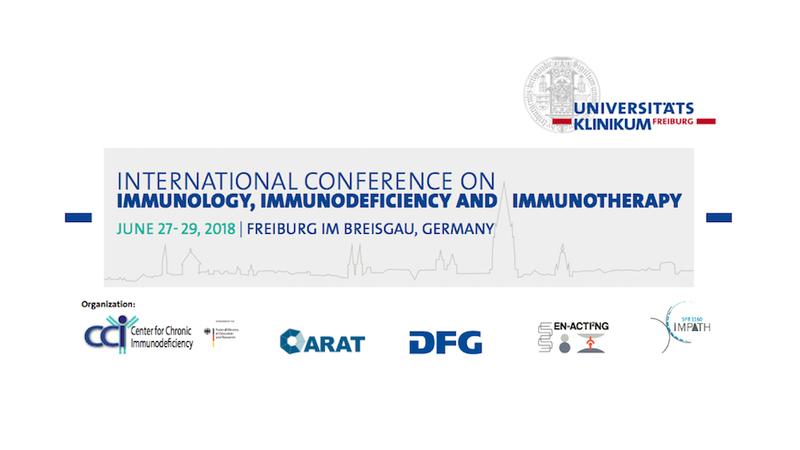 We would like to draw your attention to the upcoming “International Conference on Immunology, Immunodeficiency and Immunotherapy” in Freiburg. 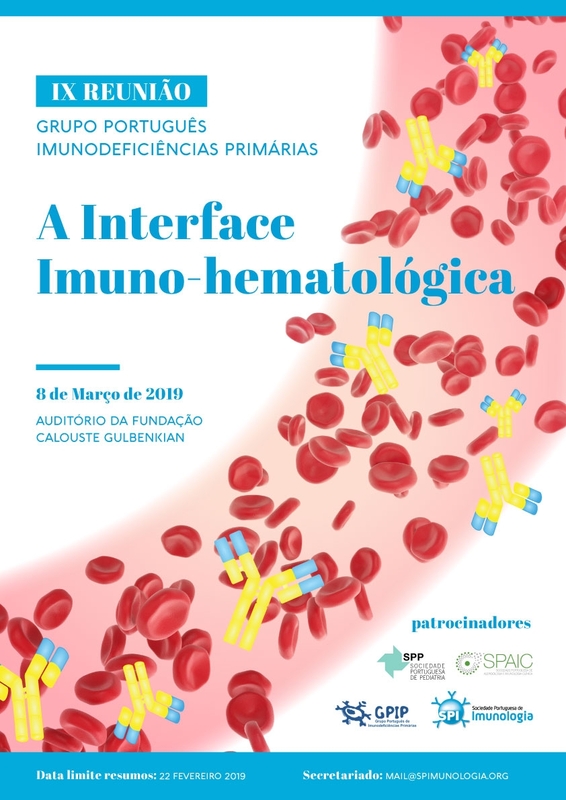 The meeting is organized by the Collaborative Research Centre 1160 (SFB 1160), the Center for Chronic Immunodeficiency (CCI), the Collaborative Research Consortium CARAT and the Training Network EN-ACTI”NG. The Conference will take place at the Forum Merzhausen, Dorfstr. 1, Freiburg from June 27 to 29, 2018. 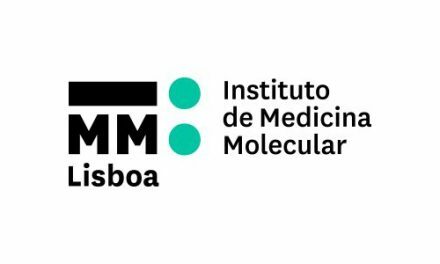 The organizing committee has compiled an exciting scientific program highlighting current research topics in basic and translational immunology. 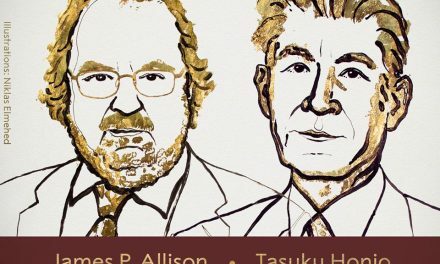 In addition to plenary sessions held by internationally renowned speakers and presentations in main symposia, young scientists will also be given the opportunity to present data. Apart from the usual exhibition of posters for each of different subject areas, abstracts for short presentations are selected. We would greatly appreciate if you could distribute this announcement among the researchers within your institute. 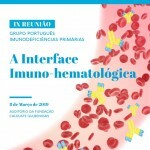 Please register under https://www.conftool.com/international-immunology-2018/index.php?page=login until March 16, 2018. PreviousDead line for abstract submission EXTENDED: *28th February 2018*. 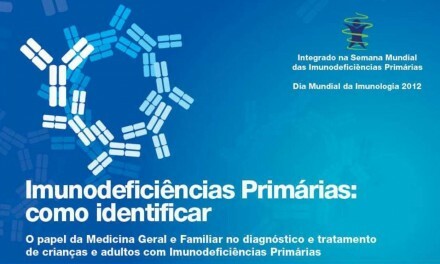 Sociedade Portuguesa de Imonulogia, or SPI, is an active Immunology Society founded in 1973 by a small group of immunologists who felt the need to create a forum, dedicated to education, interaction and state of the art discussion in basic and clinical immunology.